NW Gardens Alive is a professional landscape company based in Seattle and established in 2005 by Shawn C. Connor. Shawn is a third generation Seattlite and graduate of the University of Washington with a B.S. in Forest Resources, including a major Environmental Horticulture and Urban Forestry with a minor in Landscape Architectural Studies. His education, combined with 16 years of work experience in residential and commercial landscaping, create an informed approach to creating, installing and managing sustainable ecological community landscapes. 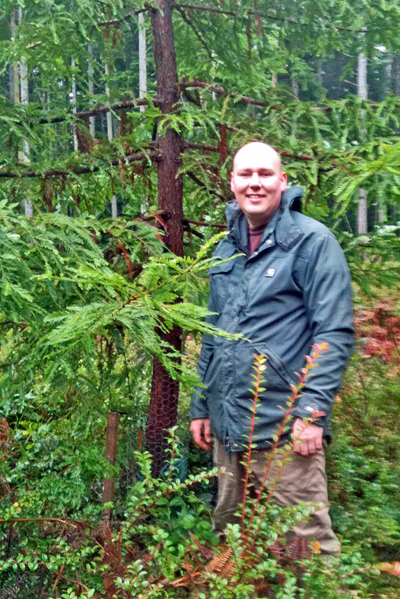 In addition to his ownership of NW Gardens Alive, Mr. Connor's volunteer works include designing and installing organic community gardens and stewarding Harry's Forest Forever, a 176-acre forest being preserved by conservation easement in partnership with the Whidbey Camano Land Trust. Contact Shawn Today for a free on-site landscape consultation. NW Gardens Alive offers Professional Landscape Design, Installation, and Maintenance Services throughout the Greater Seattle and Eastside Locations. We offer Commercial and Residencial Landscape Maintenance, Pruning of Shrubs and Small Trees, Seasonal Landscape, Garden Clean-ups and more.